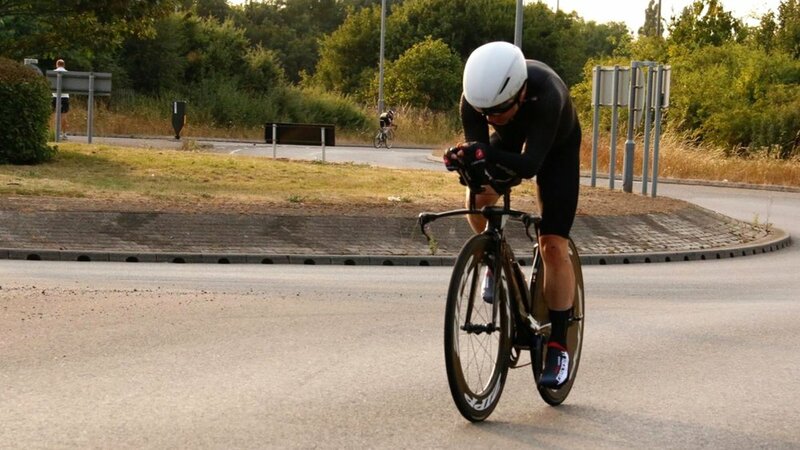 Due to an interrupted season in 2018 and bad weather earlier this year, this was actually my first open TT (and my first 25 mile TT) since last May. I felt more nervous than I remember feeling in a long time and couldn’t wait to get started and get the waiting over. As I was near the end of the start list it meant a longer wait and warmup while watching other people heading off to the start. Eventually it was time to go and after a good warmup I headed out onto the course. It was rather cold and very windy, and when I realised after 8-9 miles that my legs still felt cold this wasn’t a good sign – too late to decide that leg warmers would have been a good idea! I had a twinge of calf cramp after 7 miles which worried me, and then at around 14 miles a real cramp up that meant I had to stop pedalling to stretch. This meant I couldn’t really push as hard as I would have liked after this, so to be within 1W of my power target for the ride wasn’t too bad. The conditions were very different to last April when I rode this course – that time a southerly wind meant it was slow out but fast back. This time it just felt slow everywhere, but especially in the last few miles directly into a headwind which felt like they went on forever. The good news came when I got back to HQ – a time around 30 seconds faster than last year, and placing of equal fourth, one place higher than last year! It feels like a promising start to the season, and hopefully a sign of better things to come.